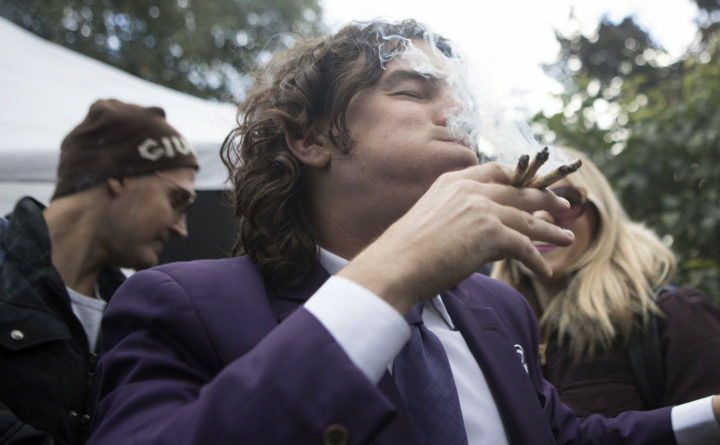 A man smokes multiple joints in a Toronto park as they mark the first day of legalization of cannabis across Canada, Oct. 17, 2018. Supply shortages have been rampant in the two weeks since Canada became the largest national pot marketplace. “If [the government] were serious about access, serious about smothering the black market, then more resources would have been allocated to the OCS,” Stackhouse said, referring to the Ontario Cannabis Store website.